This may be the most obvious problem of all. The conditioned air blowing through the vents from your A/C should feel cool and comfortable all of the time. 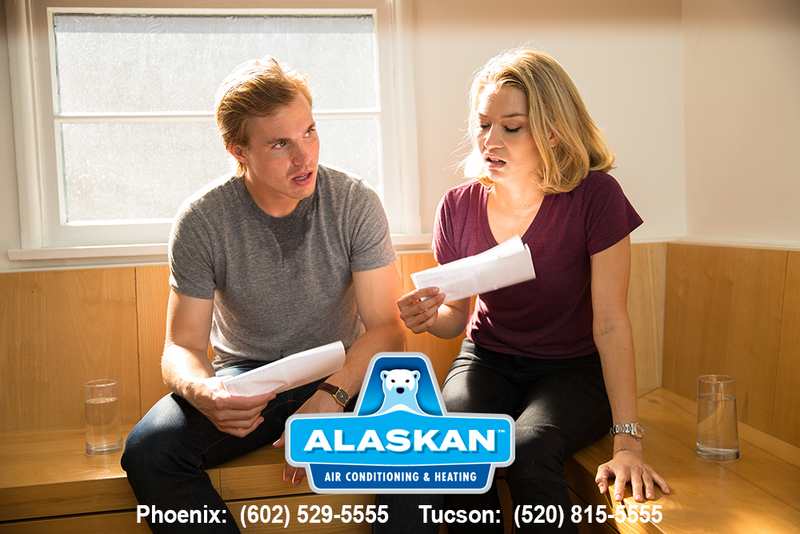 If you feel that the air coming from your vents is no longer as cold as it normally is, you need to call Alaskan Air Conditioning. While the problem may be as simple as adding more refrigerant, it is also a symptom of something more serious. 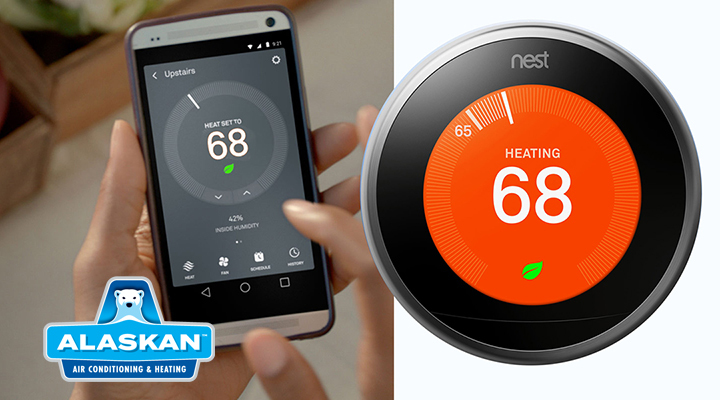 Both require the help of a professional HVAC technicians. 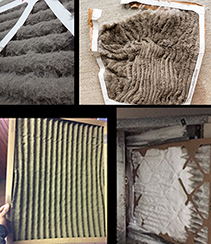 Limited airflow is usually caused by a clogged air filter. Changing your air filters regularly helps the air flow properly (and keeps indoor air cleaner). Without proper air flow, your indoor coils can actually freeze up, bringing your system to a complete halt. Change your filter and see if the air begins to flow stronger. If not, this could indicate an issue with the compressor. Bang, pop, squeal, griiiiiind…sounds like this aren’t normal! They are warning signs that something is not right. Today’s systems run very quietly so if you are hearing sounds from your outdoor condensing unit, that’s a pretty clear indication something is not operating properly. 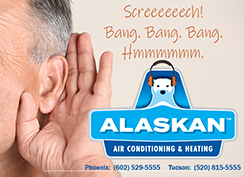 Call Alaskan Air Conditioning and request that a technician check out any unusual noises as soon as possible. It may be the fan or a belt which are easy repairs. Correcting these problem searly will prevent a more costly breakdown later. Any leaks should be called in to our office immediately. Excessive water around the unit (some condensation is normal) may be caused by a clogged or broken drain tube. It may also be an indication of ice melting from a unit that has frozen up. If this is happening, call Alaskan Air Conditioning right away. A refrigerant leak also requires immediate attention because it, too, indicates a major problem with your system. Refrigerant is a dangerous chemical to be in contact with. If you see a discolored leak, call us immediately. Both of these are signs of a major problem. With proper maintenance from annual check-ups, your air conditioning system should run the same all season long. Of course, the hottest days of summer are going to require more use and your utility bills may be slightly higher. But, if your energy bills are increasing month after month, you certainly have a problem with the air conditioner. A/Cs that have to run longer and work harder mean they are failing. They also mean, you’ll have very high utility bills. Understanding early warning signs of potential breakdown of the air conditioning system – and calling for help right away – can greatly diminish the likelihood of more costly repairs or a new replacement, extend the life of your air conditioner, and save you money on higher utility bills. For repairs, replacement estimates or maybe just increased peace of mind, call Alaskan Air Conditioning to check out your A/C.